Musicians In Action-CO would like to thank the following organizations for their support! To get involved, please email marc@MusiciansInAction.org. M.I.A. 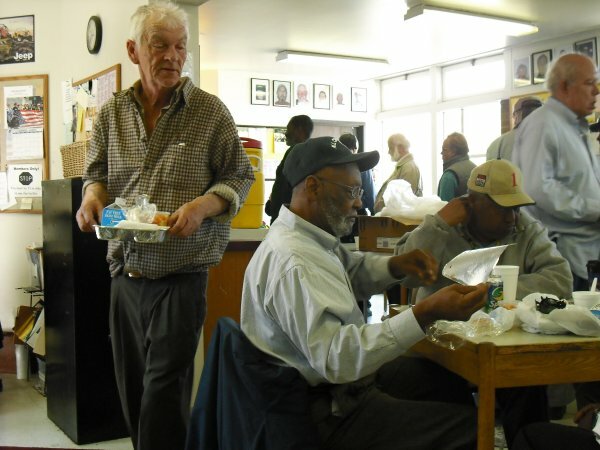 is always seeking volunteers, in-kind donations and we have unique sponsorship opportunities that allow you to do good while doing good for those experiencing homelessness. Thanks for your support! Homelessness is the result of a downward spiral. Sometimes it’s triggered by loss of a job (28% of the homeless, Denver’s Road Home). Sometimes the sheer cost of housing is the cause (23%, DRH) or breakup of the family (20%, DRH). It’s not hard to see how one thing can lead to another (debt, substance abuse, neglected mental health issues, medical crises, domestic violence) to create this social problem. It affects us all and we all pay the costs. Although it’s hard to get exact figures (attempting to survey a transient demographic), it’s been estimated that 60% of Colorado’s homeless population are people in families. 29% of respondents are women and 40% of the homeless are working. Musicians are also sometimes homeless. Really, it would not be hard to imagine similar circumstances arising for anyone. The key to preventing homelessness is to end the downward spiral. 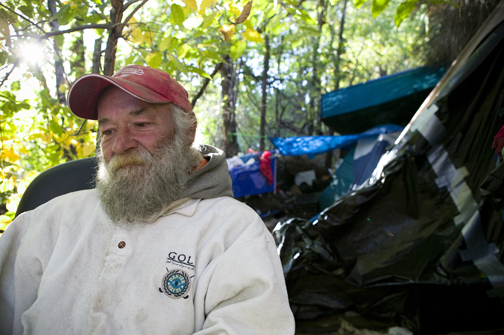 When basic needs are met (food, shelter, medical care), lives can begin to stabilize and lead to more positive actions. Rehabilitation and education programs suddenly have more dramatic impact and we start to see an upward spiral for these lives and for our society as a whole. Musicians In Action-CO is a trigger for creating an upward spiral. Please join us! Do you want to volunteer, donate, or even just see a show? Are you in a band, or do you know someone in a band that would also like to get involved? If so, please send an email to marc@MusiciansInAction.org and thanks for your support! Can you imagine being homeless as a senior? Photo by Rich Miller.